MOTU has released a Universal version of its flagship audio creation software, Digital Performer. 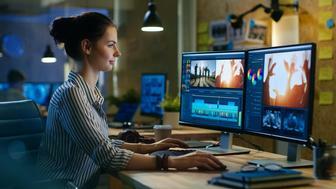 "Digital Performer delivers unrivaled audio workstation features, from its six included virtual instruments to its unique visual cueing features for film and TV composers," said Jim Cooper, MOTU's vice president of marketing. "By bringing it to the Intel Mac, we can maintain Digital Performer's leading role in audio workstation technology." "The blazing speed of our Intel-based Macs provides a significant performance boost to all Universal applications running natively," said Ron Okamoto, Apple's vice president of Worldwide Developer Relations. "We're thrilled MOTU is now shipping a Universal version of Digital Performer so audio professionals can take advantage of the excellent performance of Intel-based Macs." Digital Performer 5.1 is now available as a free download for registered version 5.0 users.